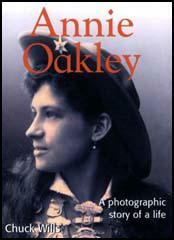 Annie Oakley was born in Darke County, Ohio, on 13th August, 1860. When she was a child her father died. According to Kirstin Olsen his death left "behind a hungry family and a mortgaged farm". Olsen adds: "Oakley, legend has it, remedied both ills by shooting game. Her family ate what it could and paid off the mortgage by selling the rest." leaving behind a hungry family and a mortgaged farm. In 1880 she defeated Frank Butler, a sideshow marksman, in Cincinnati. After marrying Butler she joined the Sells Brothers Circus where she developed a national reputation for carrying out amazing shooting feats. This included shooting the ashes off a cigarette in the mouth of her husband. Another trick included shooting through the pips of a playing card tossed in the air. 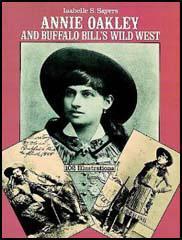 In 1885 she joined the famous Buffalo Bill Wild West Show. Less than five feet tall, she was billed as "Little Sure Shot", and was the organization's leading star for the next 17 years. Using a hand-mirror she could fire over her shoulder and hit a small target. Oakley was also just as accurate as a markswoman while riding on the back of a running horse. The historian Dan L. Thrapp has argued: "Some of her shooting feats were phenomenal; she was an especial success in Europe, performing before Royalty." This included Queen Victoria and she once shot a cigarette from the mouth of a German prince who later became Kaiser Wilhelm II. In 1901 Oakley was badly injured in a railway crash. It left her temporarily paralyzed and she was forced to leave the Buffalo Bill Wild West Show. She recovered and eventually resumed her career. During the First World War she gave demonstrations of her shooting skills to soldiers in the US Army. She also sent a letter to the Kaiser Wilhelm II, requesting a second shot. 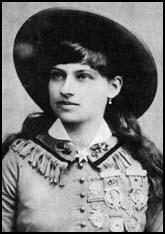 Annie Oakley died in Greenville, Ohio, on 3rd November, 1926. Her husband died three weeks later and was buried beside Annie in the Brock Cemetery in Darke County.